Last month, we asked expats around the world to share their favorite holiday moments with us, using the hashtag #GlobalLocalHolidays. We received over 350 submissions on Instagram showing us everything from biking on the beach to snowy mountain peaks. With all of these great holiday moments being shared, it was not easy for us to choose the top three. Today, we would like to take the opportunity to introduce you to our winner, as well as our first and second runner-up. 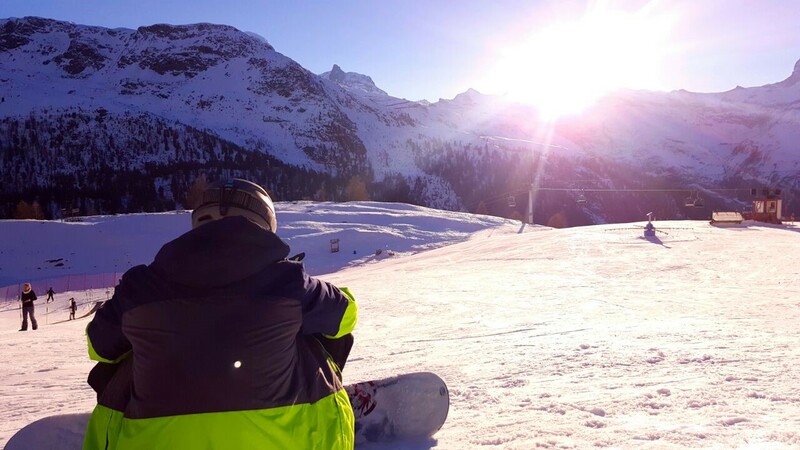 Mark Blackwell, a British expat living in Jakarta, shared a picture from his vacation in Zermatt, Switzerland. His partner hails from Australia and has never seen snow before, so this vacation was quite a change of scenery for the couple. Zermatt makes a great destination for winter sports enthusiasts but, due to its close proximity to Italy, is also a great place for foodies. When he visits his family in the UK, Mark likes to take the opportunity to travel around Europe a bit. In his role as InterNations Jakarta Ambassador, he also helps newly-arrived expats settle in and visits other communities’ events whenever he can. 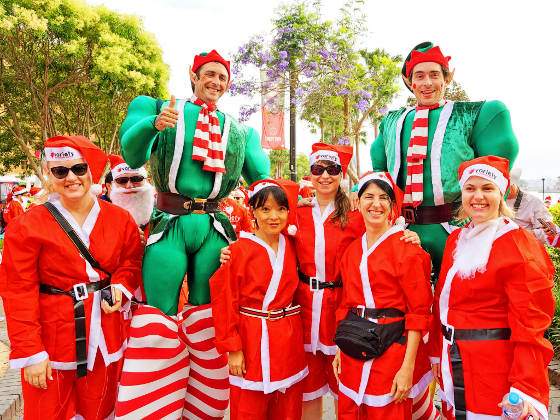 The picture that made it to second place was taken by Linda Bernau at the Sydney Santa Fun Run, a 5km charity run to raise money for disabled and disadvantaged children. Despite the heat, all of the runners wore Santa costumes and completed their run to Christmas music playing in the background. The metropolis itself impressed Linda a lot, with its beaches, its natural harbor with the famous opera, and the lively arts and culture scene. For a German expat, spending Christmas time in Sydney was a unique experience, of course, since the scorching heat is not what one would expect this time of the year. While she misses the Christmas markets and the cold winter days, living in this beautiful city makes up for it. When Linda moved to the city two years ago, the InterNations Sydney community there helped her to settle in and make new friends. She still enjoys attending the events organized by Sydney’s great Ambassador team. 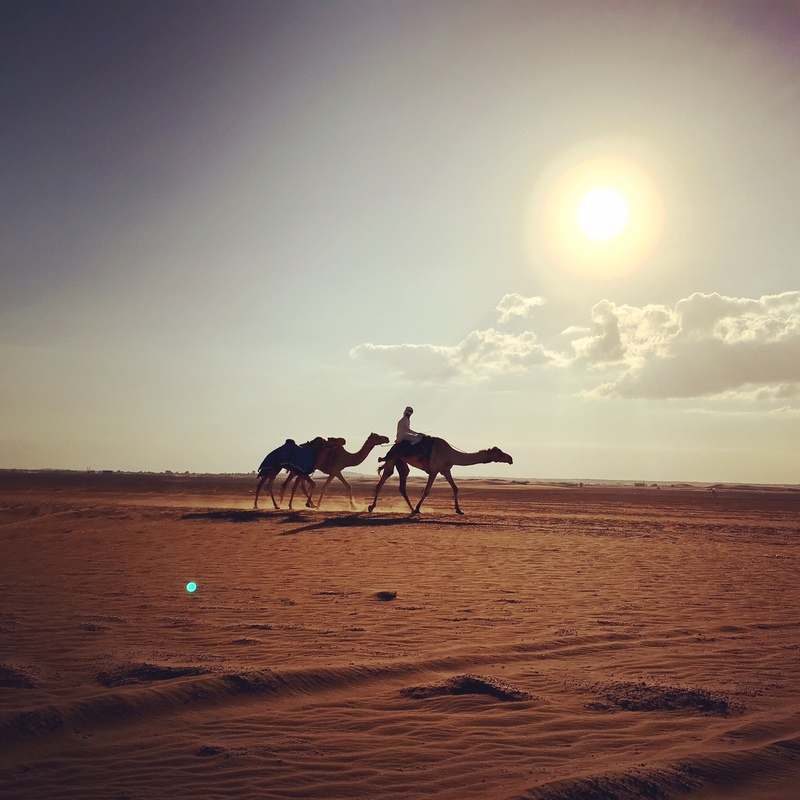 The winning picture of the #GlobalLocalHolidays contest was taken by Lira Ajkova during a trip to Margham with the InterNations Dubai Desert Camping Group. She managed to capture this image of two racing camels during their training in the early morning hours. The UAE desert impressed her with its clear winter sky. The area around Margham is perfect for camping and venturing into the wilderness and gazing at the stars, says Lira. It is located only two hours from Dubai, making it a great destination for a quick get-away. Congratulations on winning first prize and we hope you can use your hotel voucher on one of your next trips. Enjoy! Last but not least: A big thank you again to everyone who participated in our contest. Don’t forget to follow us on Instagram to check out some of the other finalists and for more great #GlobalLocal images! Thank you for the award Internations Social Media Team! I am pleasantly surprised and thrilled to know that my photo was chosen among 350 other contestants! This year has started well, hope it continues the same way for all of us!